Each time I return to San Francisco I can rest assured that SFFILM has been busy maintaining and building upon their signature creative programming throughout the Bay Area. For starters, I’ve been invited this weekend to head down to San Francisco’s historic movie palace the Castro Theatre to join SFFILM and the great minds behind one of the major visual effects accomplishments of the year for a special onstage conversation with actor Andy Serkis and VFX wizard Joe Letteri as they reveal the secrets behind the groundbreaking Planet of the Apes films. Delving deeply into acting and the innovative technology involved in cutting-edge contemporary performance capture techniques, Serkis and Letteri will illuminate what it actually takes to bring characters like Gollum, King Kong, and Caesar to life. Each $15 general admission ticket is valid for the full day of screenings and the talk. That is 3 film screenings and the talk with in-and-out privileges for audiences to self-select what parts of the day they would like to attend. You couldn’t ask for a more affordable Sunday outing, with chances to rush across the street to Rossi’s Deli for the best egg salad sandwich in San Francisco and/or up the street to get more punches in your Hot Cookies punch card. A wonderful weekend re-entry to San Francisco. The first order of business at last week's press conference for the 60th San Francisco International Film Festival (SFIFF) was addressing the issue of rebranding. There were hints of impending change in some of the graphics used during last year's festival and now it's become official. Henceforth, the festival's parent organization, the San Francisco Film Society, will be officially known as SFFILM, and the preferred name for its annual festival is the SFFILM Festival (SFFF). According to Executive Director Noah Cowan, the change "provides a new kind of flexibility" to the organization and better "reflects the reality and breadth of our programming." Cowan also clarified that the festival's move to an earlier timeframe was meant to create distance with Cannes and therefore better engage the international film industry. The press conference was held at the new Dolby Cinema on Market Street, and it was my first visit. Boasting a gargantuan screen and ultra-plush stadium seating—and I imagine the best sound found anywhere—the Dolby joins the pantheon of great Bay Area venues to watch a movie and I can't wait to experience it during the festival. In addition to the new Phyllis Wattis Theater at SFMOMA, this year's festival makes extensive use of the Yerba Buena Center for the Arts (YBCA) for the first time, both its main theater and screening room, creating a mini festival hub around the area of 4th and Mission Streets. Given that I live a quick 15-minute walk away, this suits me perfectly. In all, SFFILM Festival 60 (SFFF60) incorporates eight main venues, not including the Pacific Film Archive in Berkeley, making this the most spread-out fest in the many decades I've been attending. Following his opening remarks, Cowan and the SFFILM programming team got down to the business of revealing the 2017 line-up. In my previous post I talked about the programs revealed prior to the press conference, including this year's greatly expanded Live & On Stage section. It turns out that was just the iceberg's tip. The fest has whipped up enough 60th edition specialty events to program a decade's worth of festivals. Here are my thoughts. (An overview of SFFILM Festival's roster of narrative and documentary features will appear before the festival's April 5 start date). Having previously announced The Green Fog for Closing Night plus the Centerpiece film Patti Cake$, the only Big Night left to reveal at the press conference was Gillian Robespierre's Landline as the fest's Opening Night selection. While I perhaps expected something more grandiose to kick off SFFILM's 60th birthday, I admit to seriously loving Obvious Child, the 2014 "abortion rom-com" that marked the first collaboration between Robespierre and actress/comedian Jenny Slate. SNL alum Slate now returns to star in Landline, a NYC 1995-set dramedy that premiered to solid reviews at Sundance and co-stars Jay Duplass, Edie Falco and John Turturro. Robespierre, Slate and co-writer/producer Elizabeth Holm are the evening's expected guests and the Opening Night party happens at the Regency Center on Van Ness Avenue. 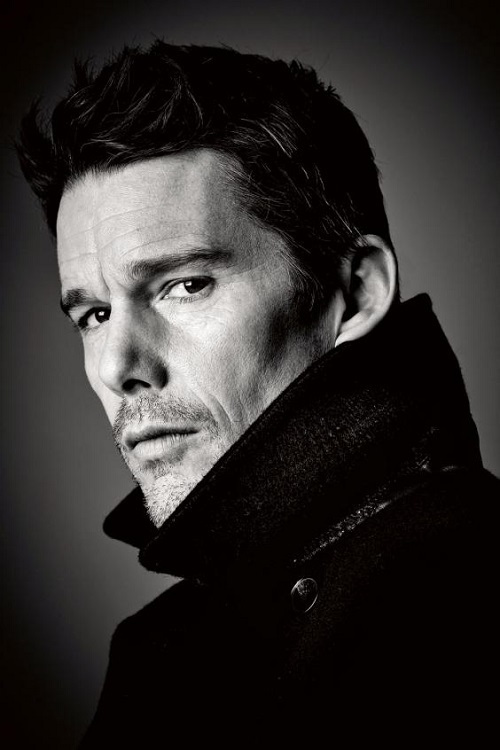 As if having Ethan Hawke at the festival wasn't spectacular enough, SFFF60 will also pay a Tribute to Shah Rukh Khan (SRK). Expect a mob scene at the Castro Theatre on April 14 when the biggest movie star in the world takes the stage for a conversation with Rush Hour director Brett Ratner. 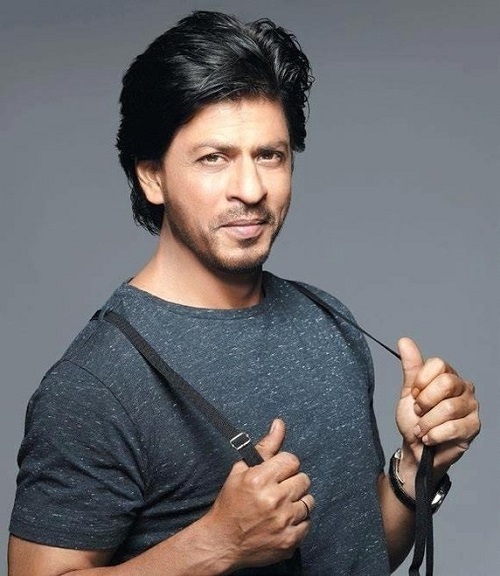 I've been a SRK acolyte since seeing 1995's Ram Jaane at Berkeley's now defunct Fine Arts Theatre on Shattuck, which exclusively exhibited Bollywood product in the '90s. I thrilled to the sight of his train-top dance in 1998's Dil Se and our love affair peaked at a riotous screening of Om Shanti Om at the 2008 SF Asian American Film Fest (now CAAMFest). The SFIFF screened his historical epic Asoka in 2002. While I'm elated to finally experience SRK live, I wish a movie other than 2010's My Name is Khan had been chosen to accompany this tribute. 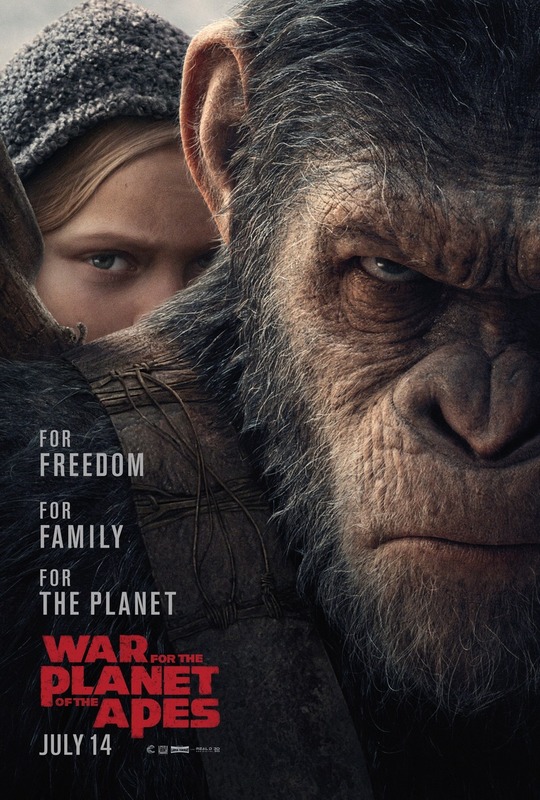 Yes, the film remains a timely rebuke of American anti-Muslim sentiment, but it also queasily portrays African Americans in a manner most politely described as "quaint." While it appears the festival has discontinued its Founders Directing Award, it still honors one of the world's most beloved filmmakers this year with A Tribute to James Ivory. Berkeley-born Ivory is of course the director of such high-brow classics as A Room with a View (1985), Howard's End (1992) and The Remains of the Day (1993), and his 44-year production partnership with Ismail Merchant entered the Guinness Book of World Records as the longest in independent cinema history. Ivory is also getting considerable attention this year for his screenplay of Luca Guadagnino's Call Me By Your Name, perhaps the most rave-reviewed movie of 2017 thus far. As part of this tribute on April 14 at SFMOMA, the festival will screen a 30th anniversary 4K restoration of Ivory's 1987 LGBT milestone, Maurice. 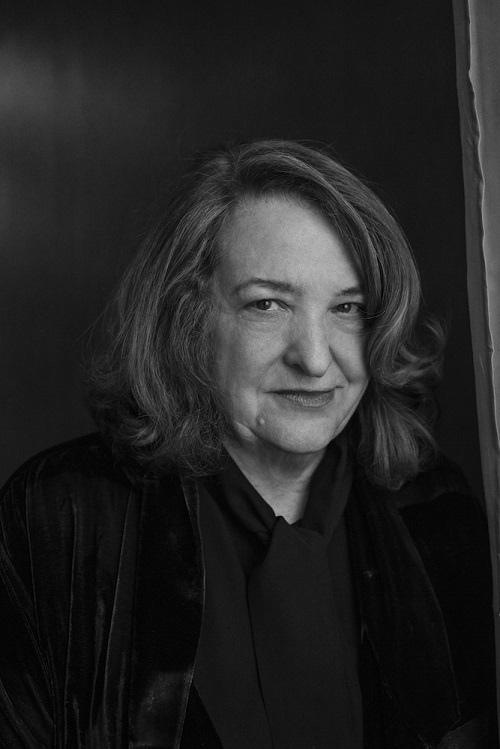 I've been a fan of multimedia-installation-performance-conceptual artist Lynn Hershman-Leeson's films ever since catching her brilliant biopic Conceiving Ada at the 1998 SFIFF. Ensuing festivals brought out equally compelling works like the Tilda Swinton-starring Teknolust (2002) and the documentaries Strange Culture (2007) and !Women Art Revolution (2010). This year's SFFF60 finally honors Hershman-Leeson with its 2017 Persistence of Vision Award, which celebrates a "filmmaker whose main body of work falls outside the realm of narrative feature filmmaking." Following an on-stage conversation, there will be a screening of Tania Libre, the filmmaker's new doc about radical Cuban artist Tania Bruguera. This all takes place on April 11 at the YBCA Theatre. Festival-goers are encouraged to visit the nearby YBCA museum whose first-floor gallery currently houses her major exhibition Civic Radar (on display through May 21). The festival's Mel Novikoff Award is presented each year to an "individual or institution whose work has enhanced the film-going public's appreciation of world cinema." This year's long overdue recipient is the Bay Area's own Tom Luddy, whose many accomplishments include co-founding the Telluride Film Festival. An on-stage conversation at the Castro Theatre on April 9 will precede two screenings: Une bonne à faire, an extremely rare eight-minute Jean-Luc Godard short that was filmed on the set of Coppola's One from the Heart at Zoetrope Studios, followed by A Long Happy Life. Released in 1966, this little-seen classic Russian road movie and "Chekhovian drama about the solipsism and narcissism of modern characters" would be the only film directed by Gennady Shpalikov, who committed suicide at age 37. Another SFIFF accolade that seems to have fallen by the wayside is the Kanbar Screenwriting Award. 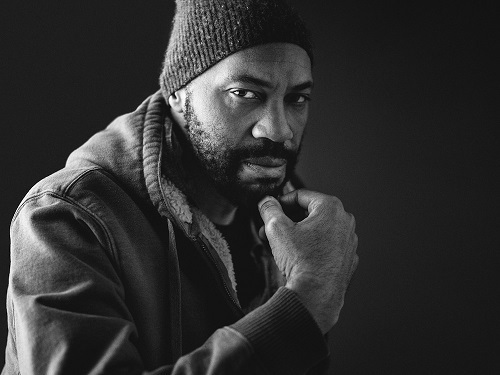 In its stead, this year's SFFF60 offers up A Tribute to John Ridley, who most recently won an Oscar® for penning 12 Years a Slave (2013). 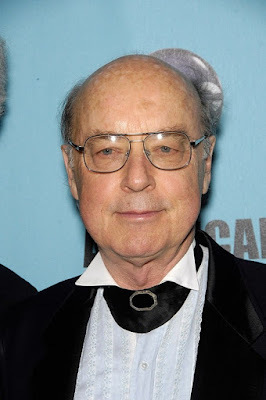 Ridley is also recognized for writing the story that became David O. Russell's Three Kings (1999), for writing and directing the Jimi Hendrix biopic All is By My Side (2013), as well as writing the novel Stray Dogs, which became Oliver Stone's U Turn in 1997. (More importantly to me, he wrote and executive-produced all 21 episodes of The Wanda Sykes Show.) To accompany this special program on April 12 at the Alamo Drafthouse New Mission, the fest will screen the first episode of Guerrilla, Ridley's upcoming Showtime series about black radical activism in early 1970's London, starring Freida Pinto, Babou Ceesay and Idris Elba. The 2017 George Gund III Craft of Cinema Award, traditionally handed out at the ritzy SF Film Society's Award Night Gala, will be presented for the first time in public on April 10 at SFMOMA. The recipient is filmmaker, artist and writer Eleanor Coppola. The evening will feature a screening of Paris Can Wait, her first feature film since the 1991 award-winning documentary Hearts of Darkness. 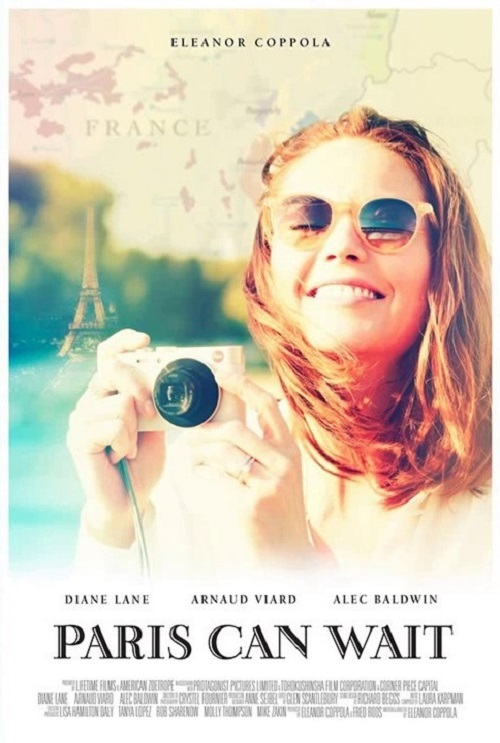 This comic road movie stars Diane Lane as the wife of a high-profile movie producer (Alec Baldwin) who goes on a Cannes-to-Paris adventure with a seductive Frenchman (Arnaud Viard). Paris Can Wait had its Bay Area premiere in the "Culinary Cinema" sidebar of last autumn's Mill Valley Film Festival and will open at Landmark's Embarcadero Cinema on May 19. One of the most ingenious happenings at this year's festival has to be film historian David Thomson interviewing William R. Hearst III about Citizen Kane, whose protagonist Charles Foster Kane is based on Hearst's grandfather. 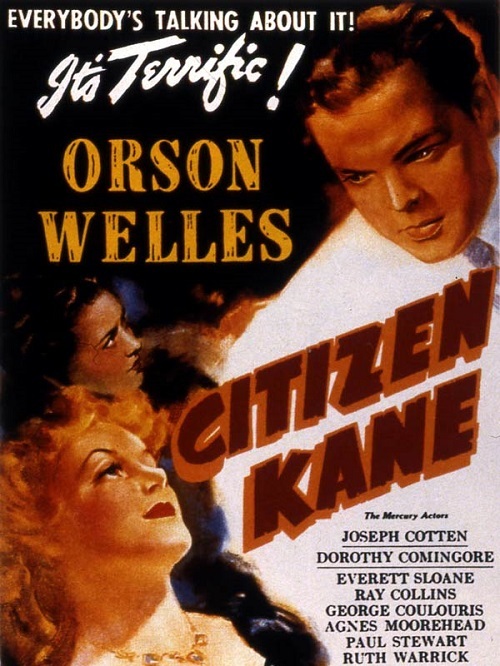 Their conversation at the YBCA Theater on April 6 will be followed by a screening of Orson Welles' 1941 masterpiece, long considered the greatest film ever made until its position was usurped by Hitchcock's Vertigo in 2012. Speaking of both David Thomson and Vertigo, he conducts a master class at SFMOMA on April 16 entitled Two or Three Things That Frighten Me in Vertigo. (Two additional SFFF60 master classes are Finding Characters in Unlikely Places with Pixar's Newest Short, Lou and We Are All Storytellers: A Pixar in a Box Workshop for Girls, both to be held at the Walt Disney Family Museum). Short on funds? SFFF60 has your back with a trio of free screenings. On April 8 at the Vogue Theatre the fest presents Rivers and Tides–Andy Goldsworthy Working with Time, the acclaimed documentary which had its international premiere at SFIFF in 2002. The film is being shown as a ramp-up to the world premiere of Thomas Riedelsheimer's Leaning Into the Wind, his latest collaboration with the nature-driven artist. Among other things, Leaning observes Goldsworthy as he creates Tree Fall, one of four artworks found in San Francisco's Presidio park. The next free screening takes place on April 14 when Hayes Valley's outdoor Proxy space hosts a presentation of Whose Streets?, Sabaah Folayan and Damon Davis' documentary about the outsized militaristic police response to the 2014 events in Ferguson, MO. Then on April 15 the Castro Theatre will free-screen Defender, Jim Chai's new documentary about Jeff Adachi, San Francisco's heroic Public Defender and sometime film director (The Slanted Screen, You Don't Know Jack: The Jack Soo Story). SFFF60 isn't the only local arts organization celebrating an important anniversary this year. At Canyon Cinema 50: Guy Maddin Presents The Great Blondino and Other Delights, the fest pays tribute to one of the world's most important distributors of avant-garde and experimental cinema. 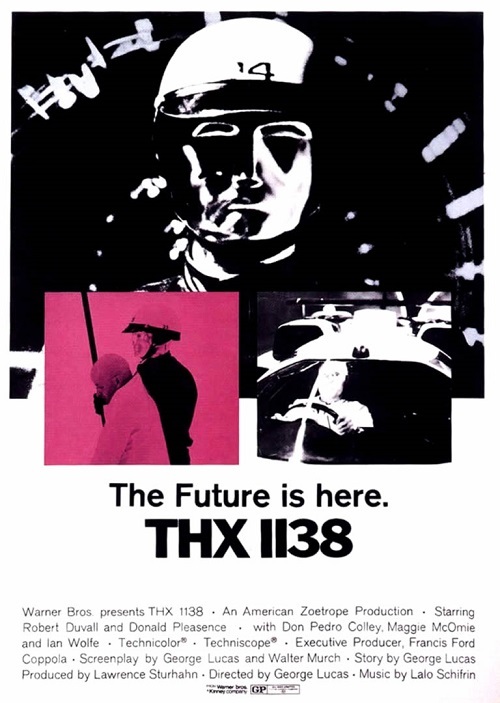 First released in 1967, Robert Nelson and William T. Wiley's 42-minute Blondino is considered one of the early masterworks of American independent filmmaking. I'm far from a fervent devotee of this strain of cinema, but the fact that Guy Maddin will curate and introduce the selections renders this April 15 event at SFMOMA a personal must-see. Another Bay Area commemoration of note is Disposable Film Festival 10th Anniversary Retrospective. Founded the same year as the iPhone, the festival was created to exclusively showcase people telling stories with DIY personal technology. Disposable co-founder Carlton Evans will be on hand at the Roxie Theater on April 13 to introduce a dozen of the best shorts culled from the festival's first decade. For the second year running, the festival will host a VR Days program. When I attended last year's one-day event, the only thing I knew about VR was that it stood for Virtual Reality. Now that I'm a bit more seasoned, I look forward to seeing how the technology has advanced in the past 12 months. This year's VR Days takes place at YBCA Forum on April 9 and 10, with tickets being sold for one-hour timeslots between noon and 7:00 p.m. 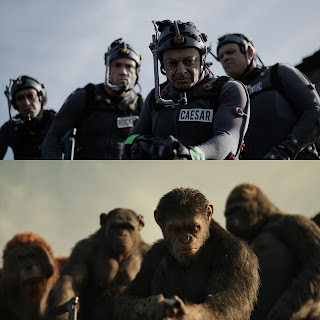 The line-up of VR experiences will include the Oscar®-nominated short Pearl, interactive re-enactments of historic battles (My Brother's Keeper) and cinematic dance on camera (Through You). This year's annual State of Cinema Address will be given by Dr. Ed Catmull at the Dolby Cinema on April 8. The co-founder of Pixar Animation Studios and five-time Academy Award® winner is expected to speak on "the importance of skepticism when exploring new technology," after which several Pixar artists will take the stage for a conversation hosted by Wired magazine. Evening Class contributor Michael Hawley began blogging about the San Francisco International Film Festival on its 50th anniversary in 2006. A decade-plus later it has become something of a tradition that on the eve of the festival's opening press conference, Michael recaps the announcements to date. The Evening Class is grateful for his enthused anticipation. The San Francisco International Film Festival—recently rebranded as the San Francisco Film Festival (SFFF)—celebrates its 60th edition next month, marking an impressive milestone for the oldest continuously-operating film festival in the Western Hemisphere. This year's event arrives and departs two weeks earlier than usual—from April 5 to 19—and finds itself centered in the city's Mission District for a second year running. SFMOMA's newly renovated Phyllis Wattis Theater—where the SF Film Society has already co-presented two impressive Modern Cinema series—serves as an additional venue for SFIFF60. In addition to taking place a fortnight earlier than usual, this year's festival begins and ends on a Wednesday rather than a Thursday. Another change finds 2017's Closing Night festivities occurring 72 hours before the festival's official end date. On Sunday, April 16 at the Castro Theatre, SFFF60 therefore "concludes" with The Green Fog—A San Francisco Fantasia with Kronos Quartet. For this special collaborative event, Kronos will perform a Jacob Garchik score to a re-imagining of Alfred Hitchcock's Vertigo (1958), as constructed by iconoclast Canadian filmmaker Guy Maddin and his The Forbidden Room (2015) co-directors Evan Johnson and Galen Johnson. Without using a single frame of Hitchcock's original, Maddin's "parallel-universe version" will employ "Bay Area-based footage from a variety of sources—studio classics, '50s noir, documentary, experimental films, and '70s prime-time TV." With a live Foley element added to the mix, this promises to be a major highlight of SFFF60. as well as one of the festival's most inspired finales. SFFF60 will honor actor-writer-filmmaker Ethan Hawke with a special tribute on Saturday, April 8 at the Yerba Buena Center for the Arts. Following an on-stage conversation, there will be a screening of Aisling Walsh's Maudie, which co-stars Sally Hawkins as renowned Canadian folk artist Maud Lewis. It's unclear at this point whether this tribute supplements or supplants the festival's annual Peter J. Owens Award for Acting, which was presented last year to Ellen Burstyn [The Evening Class transcript is here]. For those unable to attend this event, Maudie is scheduled to open at Landmark's Embarcadero Cinema on June 23. SFIFF is usually the Bay Area's first chance to catch the big hits from Sundance. This year's Centerpiece event spotlights Patti Cake$, Geremy Jasper's ultra-rave-reviewed debut feature which shockingly failed to win a single Sundance prize. 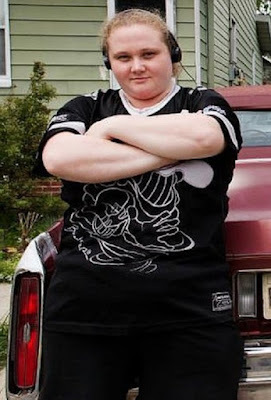 The film revolves around a plus-sized, white lower middle class, aspiring teen rapper from New Jersey who enlists the help of her South Asian best friend and an African American lone-rocker musician to achieve her dreams. Think Welcome to the Dollhouse meets Precious meets 8-Mile? Variety critic Peter Debruge called Patti Cake$ "the kind of movie where the energy builds to such levels that a packed-house audience can hardly resist bursting into applause." To that end, SFFF60 wisely places 2017's Centerpiece film at the enormous Castro Theatre on Wednesday, April 12. As has been the case for several years now, the festival pre-announced the films competing for the Golden Gate Awards' New Directors Prize and Documentary Feature Prize. Among the ten narrative feature contenders, there are three I'm particularly excited about. In Ralitza Petrova's Godless, a morphine-addicted Bulgarian nurse steals senior citizens' ID cards and sells them on the black market. According to Variety's Jay Weissberg, the film "goes to great lengths to rub the viewer's face in the joylessness of life in a post-Communist world." Sounds like a "festival" flick if ever there was one! The jury at last summer's Locarno Film Festival saw fit to award Godless its top prize (the Golden Leopard) as well as its Best Actress accolade to lead player Irena Ivanova. 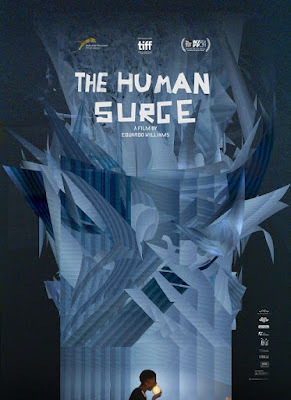 Another film laying claim to a pair of Locarno prizes was Eduardo Williams' The Human Surge. Shot in Buenos Aires, Mozambique and the Philippines, this "adventurously formalist" debut loosely concerns three young men and their relationship to technology. The third New Director's Prize nominee I'm anticipating is Francis Lee's God's Own Country, which won Sundance's Directing Award in the World Cinema Dramatic Competition. Set amidst the Yorkshire moors, this romance between a hard-drinking young sheep farmer and an itinerant Romanian migrant worker has drawn comparisons to Brokeback Mountain. The remaining competition entries hail from Iran (Duet), Mexico (Everything Else), Lebanon (Heaven Sent), USA (The House of Tomorrow), China (Life After Life), Greece (Park) and Niger (The Wedding Ring). 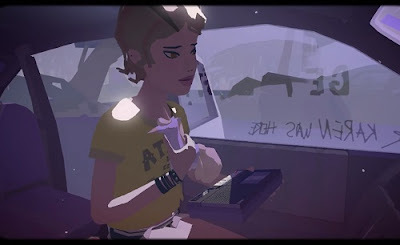 Over in the Golden Gate Award (GGA) documentary feature competition, only one film has surfaced on my radar and that's Peter Nicks' The Force. Nicks' previous work was The Waiting Room, a beautifully empathetic portrait of Oakland's Highland Hospital which the fest screened to great acclaim in 2012. The Force marks the second part of a trilogy on the relationship between public institutions and the communities they serve, with this new film setting its gaze upon Oakland's police department. 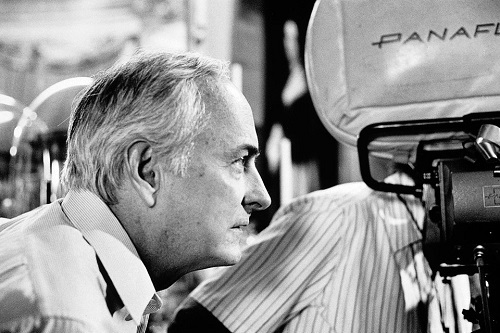 For his work on The Force, Nicks won the Best Director prize in the U.S. Documentary competition at Sundance. Other SFFF60 films competing for the GGA Doc Award span a range of interests from Mexico's National Pyrotechnic Festival (Brimstone & Glory) to falconry in Qatar (The Challenge) to India's movie caravans (The Cinema Travellers). Four ambitious programs have thus far been announced as part of the festival's Live & Onstage sidebar. 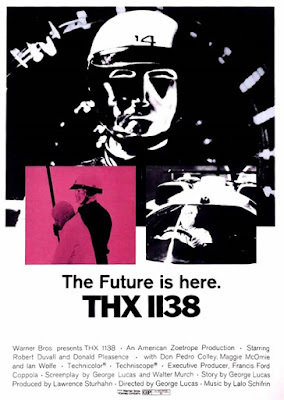 For starters, the UK band Asian Dub Foundation will perform a Live Score of George Lucas' THX:1138 at the Castro Theatre on April 11. Then two nights later on April 13, the Denver-based music/vocal ensemble DeVotchKa will accompany Dziga Vertov's 1929 silent masterpiece The Man With a Movie Camera at the Castro. DeVotchKa is possibly best known for their film score to Little Miss Sunshine (2006), and it will be interesting to see how their Movie Camera score compares to that of the Alloy Orchestra, which was performed most recently at the 2010 SF Silent Film Festival. 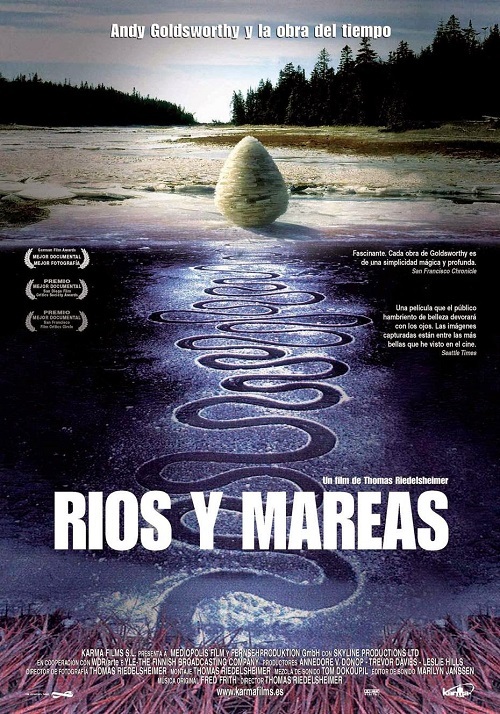 Two additional Live & Onstage presentations have connections to Marin's Headlands Center for the Arts, whose current Director of Programs, Sean Uyehara, served as SFIFF's chief Live & Onstage programmer for a number of years. On April 10 at the Castro, Parallel Spaces: Bonnie Prince Billy and Bitchin Bajas with Jerome Hiler will find actor/musician (and 2008 Headlands Artist in Residence) Will Oldham performing alongside three works by Bay Area experimental filmmaker Jerome Hiler. Headlands' 2014 Artist in Residence, artist and filmmaker Terence Nance, will present the interactive live program 18 Black Girls Aged 1-18 Who Have Arrived at the Singularity and Are Thus Spiritual Machines at the Victoria Theatre on April 16, with a separate program focused on 18 Black Boys taking place the following evening.